Preparing a GSA Schedule proposal for submission is a tedious and sometimes frustrating process for applicants. In a previous blog post, we’ve given you our ten tips for writing a public sector proposal, but there are so many components when it comes to creating a successful RFP that we decided to delve deeper. Having a GSA schedule contract is helpful for contractors who want to sell to federal agencies, but getting one awarded to your organization isn’t always easy, or fast. We surveyed our entire Client Services department, a group of individuals who eat, drink and sleep GSA schedule best practices, and gathered their best advice. The question of the hour was: If you could give your clients one tip to create a GSA Proposal that results in success, what would it be? Expect to spend a lot of time reviewing your pricing history. This is true whether you have as little as ten to more than thousands of products. Pull invoices for products you’ve sold in the last 12 months to any non-federal customers to see what kind of discounts you have been consistently offering. This will greatly help you when you start to review the pricing part of your proposal and what you’ll offer to GSA. Similar to vendors with products, vendors offering services can spend a lot of time working out the pricing section of their proposal. Putting together a master rate sheet with labor categories, minimum education, experience, and hourly commercial rates is one way to have a head-start on the legwork of your pricing section. Don’t forget the following key factors in preparing your proposal. Proposals are subject to rejection if submissions are not 100% complete! Make sure to fully disclose your Commercial Sales Practices to the GSA. Though rare, the GSA’s Inspector General’s office could elect to do a Pre-Award Audit of your company during your proposal review. Your financial statements don’t have to be perfect and that shouldn’t hold you back from applying for a GSA Schedule. Perhaps your company invested a lot of money in new equipment, relocated or hired new talent. A narrative to accompany net losses or a poor debt-to-equity ratio explaining why the financials look the way they do for that time period will help GSA understand the temporary circumstances that no longer affect your financial standings. You can always submit an irrevocable letter of credit (of at least $125,000) from your bank. If your company is a subsidiary or has other principal ownership, make sure that you have notified the parent company of your intent to get a GSA Schedule. In some cases, during your financial review it may be necessary to request additional documentation from them. Additionally, the GSA will at least need a CAGE code so that you can make the proper disclosures in your company’s SAM.gov account. 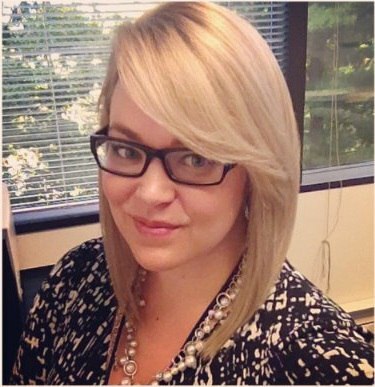 There are so many ways to make the proposal process less lengthy and less stressful for vendors, but each vendor is unique, thus each offer submitted to the GSA is unique. We highly recommend vendors become familiar with GSA Interact as it’s been a tool GSA has been utilizing for updates and community involvement, plus it’s a good place to ask questions directly to GSA representatives. Each month, we’ll be sharing tips from our services team ranging in subjects that pertain to current or future GSA Schedule holders. The next edition of GSA GovHacks will provide current GSA vendors with some helpful tips on remaining up-to-date on their contract in order to avoid some of the most common complications of GSA schedule compliance. 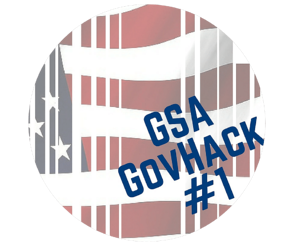 Make sure to check back in June for GSA GovHacks Part II, and send any feedback or questions to marketing@winvale.com.